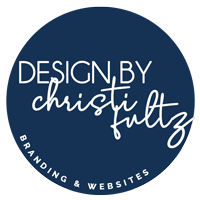 You’ve been so intentional to give your baby the very best since the beginning. Now that he’s getting bigger you’re wondering what the secret to how to get your toddler to listen the first time really is. Because after all, not getting run over in the parking lot or stolen at a park, is a good thing! If you think I’m being sarcastic… keep reading! Knowing how to get your child to obey the first time is essential. Transitioning to training your toddler means you have to dig deeper into your child training efforts. As a baby, your little one had pretty basic needs. He was hungry, so you trained him how to eat the best foods. He needed sleep, so you trained him how to fall asleep and get the sleep his body requires. Now that his cognitive abilities are increasing, you have to start upping your parenting game! 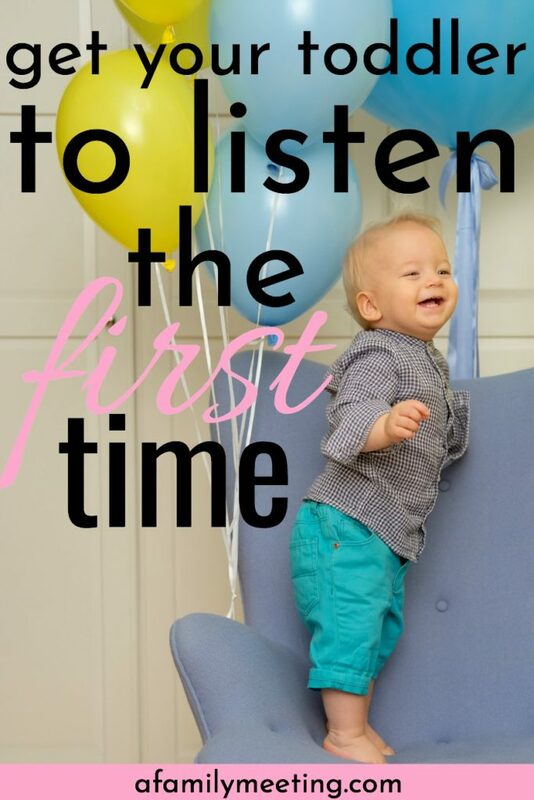 Getting your toddler to listen the first time is all about follow through! And that my friend, is the name of the toddler-training-game!! 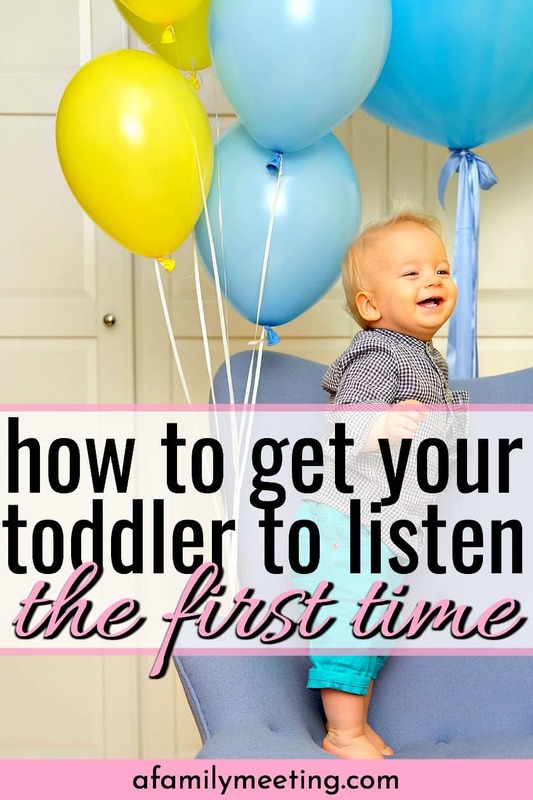 How To Get Your Toddler To Listen The First Time – Set ’em Up For Success. 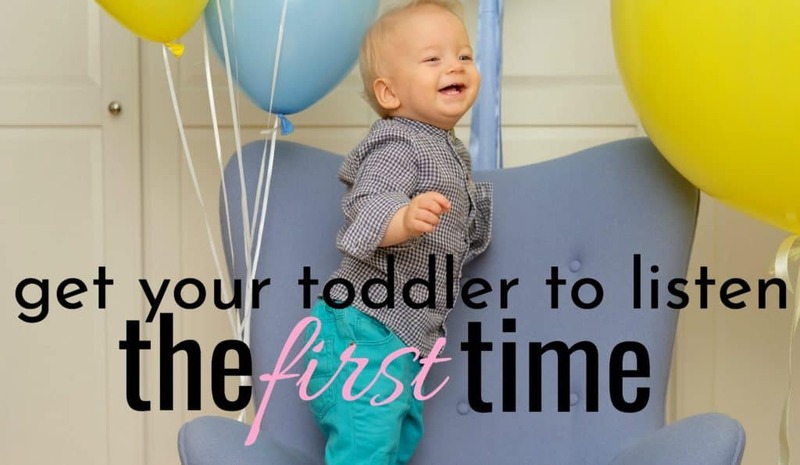 Your toddler won’t know what you want him to do or not to do the first time unless you know yourself. Set the standards and make them known. Be clear and concise. I love absolutes. Absolutes make life easier. For example: “you must sit down on your bottom, now” is a clear absolute. Whereas “please stop moving so much in your seat, I am afraid you will fall” means absolutely nothing to a child this age. If you decide sitting on his bottom at every meal time is a must (which is a great standard,) then be prepared to enforce it every single meal time. ***tip… when my kids got past the toddler years and into the preschool stage, they began to get antsy. When that happened I pulled out their booster seat and made them sit in it until they understood their option was – be still or be buckled. Whatever rules you decide on must be enforced. For Instance, it’s great to train your little one to walk through the grocery store. As you begin to train him responsibilities like this, be sure to make your standards known. For example: “you may walk as long as you stay by mommy, if you choose to walk away from me, you will be buckled in the seat.” When he walks away, buckle him in the seat. You don’t need to explain what you’re doing, you don’t need to have a conversation about it. In fact, it’s best not to say a word. Don’t respond to crying, protesting, etc. Toddlers are cause and effect. It’ll only take a few occasions, in which you display clear, consistent and complete parenting before he can walk beside you in the store without leaving your side. Alright, let’s pick just one example to walk through for this. Once you understand how the process of getting your toddler to listen and obey the first time works, you can duplicate it for every child training scenario. You give your toddler a toy truck. He plays with it for a minute, then chucks it across the room. He’s not being malicious, he’s testing out his body. He’s exploring and discovering what he is capable of. However, toys trucks are solid and will certainly hurt someone. So you tell your child, trucks are not for throwing. You have one more chance to play with this truck correctly. If you throw it again, you will not be able to play with it. You give him the truck, he plays for a minute, then throws it again. At this point, it would be great to offer him a soft squishy ball. Telling him that this is the kind of toy he may throw. Should your child choose to cry after you removed the truck… walk away! Don’t say anything, don’t show frustration or exasperation… just walk away. Go into another room, or at least to the other side of the room. Once your child has calmed down (regardless of how long that takes) go back and address him, as though starting from scratch. Alright… we got a little more time, let’s look at another example. Once a family member told me how much he loved being around my children because they didn’t whine. He was amazed at how, if they did start to whine, I could say, “that’s enough.” And my child would seemingly just shut-it-off. Of course, what he didn’t consider was how much intentional child training had gone into their ability to do that. So, let’s follow the same process with the whining as we did for the toy truck. You give your child a drink of water in a red cup. He doesn’t want the red cup, he wants a blue one. Wanting a blue cup isn’t disobedient. We all have preferences, right? However, he’s demanding the blue cup in the worst, most-shrill whine he can muster. Once he says, “blue cup please!” Swap out the red cup for the blue one. What if you don’t have a blue cup clean? Is it OK to require that he use the red one? YUP! A cup is a cup is a cup. Ultimately, he’s getting a drink of water and indeed we can be and should all be grateful for fresh clean water. If no blue cup is available, your response to his whining, then becomes, “you may have a drink in the red cup or no drink at all.” Set the cup on the counter and walk away. Nothing else needs to be said. It’s his choice to make. Red cup or no cup. Again, no response is necessary. And certainly, no response should be given if he is crying, whining or fussing. Why Is Listening The First Time, Important? First Time Obedience Keeps Children Safe! A homeschooling friend of mine was once on a trip with her three beautiful teenage girls. They had decided to stop for some food. Unfortunately, the only place available was a hole-in-the-wall in a shady area, at a shady truck stop. They decided to take their chances, prayed over the circumstance and stopped for food. After having ordered their food, they sat down to eat. When they were done praying, the mom noticed 2 men sitting a couple tables down. The men didn’t have food and were obviously just loitering. The mom kept her eyes and ears open and began to get nervous. She overheard just enough of the conversation among the men to know she needed to get her girls and get out of there fast. The men were making plans to distract the mom and take one of the girls. To which, the girls immediately responded and obeyed. They left the table, full of food, went quickly to their car and got out fast! Had those girls hesitated for a minute, disaster may have happened! I am not a helicopter parent, and I do not live in fear. Part of the reason I am able to do that is that I know my kids will listen right away, the first time, every time! First Time Listening aka First Time Obedience Is A Must! My problem with my almost 3 year old son is that he is a runner. We cant just walk from the front door the car without him running off. When I say stop or come back, and I’ve even tried “if you get in your seat nice well get a cookie!” Nothing works. He thinks its hilarious. I also have a 3 month old boy and chasing my toddler down the street with a carseat is a nightmare and embarrassing! I see other toddlers walking with their parents nicely all the time and I cant help but ask myself what I did wrong and why cant my son do that? My son is almost three and thinks it’s hilarious to run off. When i say stop he looks at me, smiles, and does it anyway. I’m lost. Hi Abbey! I know this is a common problem for moms. Unfortunately, children can create a bad habit by forming a game out of dangerous behaviors. I’d recommend you read this post here. Hi Courtney! I know that’s frustrating! The good news is dangerous habits such as these can be remedied. I’d recommend reading here. Thanks so much for taking the time to share your heart!